The company formerly known as RIM plans to launch two mid-rangers this year, one with a physical keyboard and the other with a full touchscreen. BlackBerry Priv is a unique and powerful high-end Android handset, but it looks like it arrived on the market at the wrong time. According to the company's CEO John Chen, "enterprise customers have said to us, 'I want to buy your phone but $700 is a little too steep for me. I'm more interested in a $400 device'." Considering this, BlackBerry has to tackle the mid-range area of the market in a last attempt to keep the smartphone business afloat. 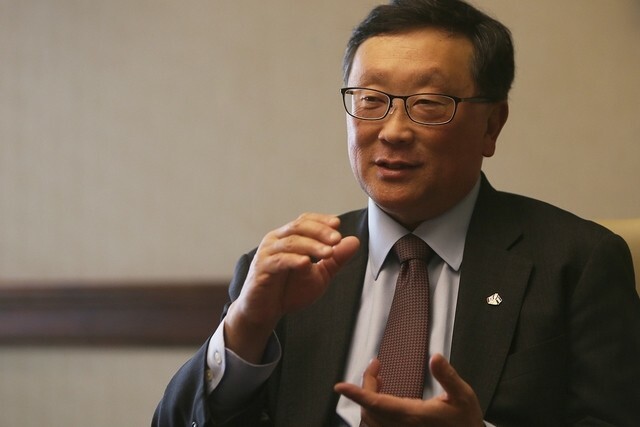 In an interview with Middle East publication The National, John Chen revealed that "BlackBerry plans to launch two mid-range Android handsets this year, one with a physical keyboard and one with a full touchscreen." Unfortunately, he did not mention any technical details or the launch date of these upcoming handsets. BlackBerry's CEO also said that BB 10 will continue to receive updates, but they have no plans to release new handsets powered by it. Since Facebook and WhatsApp announced last month their decision to drop BB 10 support, this does not come as a surprise. In the end, it is all about money and, despite the fact that BlackBerry's smartphone business managed to cut losses in the last quarter, they still have to achieve profitability. Now, we just need to wait and see if the two new Android handsets prove up to the task.